Sell Your House For A Fair Price Because We Are Looking For Houses To Buy In Fort Walton Beach, FL. Sell My House Fast In Fort Walton Beach, FL. Sell your home fast. No waiting. No fees. No hassles. Just call. 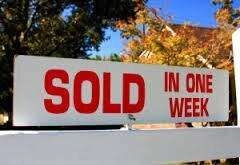 Do you think that any agent will hand you an all cash offer to buy your Fort Walton Beach house within 24 hours after calling them? I’ve never heard of that happening. Maybe we can help by giving you a fair written offer to buy your Fort Walton Beach property. Our crews can do all the cleaning and repairs and painting that it may need. You get cash at closing and will no longer be tied down with that property. You can sell my house fast.